Hey there steemians. Here I am again writing the little way I know how to.My #NYSC service year has been good so far even though it has been mostly boring, I have met new people, cultures and traditions. Kano state is a state which follows #Sharia and I am trying to accustom myself with their rules and conduct.. The Northerners in my country #Nigeria have a tradition of sending off their kids to other states or localities in pursuit of the #Arabic and #Islamic knowledge of the Holy #Quran. In each locality there are various forms and types of such institutions where such knowledge can be attained. They call them *makaratan alo * which literally means **Arabic school **. Due to the high rate of illiteracy here in the north, they believe and cherish Islamic education more than the common Western type of education. Hence, you find quite a stunning populace of students in these schools, each one headed by a Malam who is the instructor and teacher. They take the students in from where ever they are coming from and teach to them how to read the Quran and write in Arabic. That is just about all they Do. 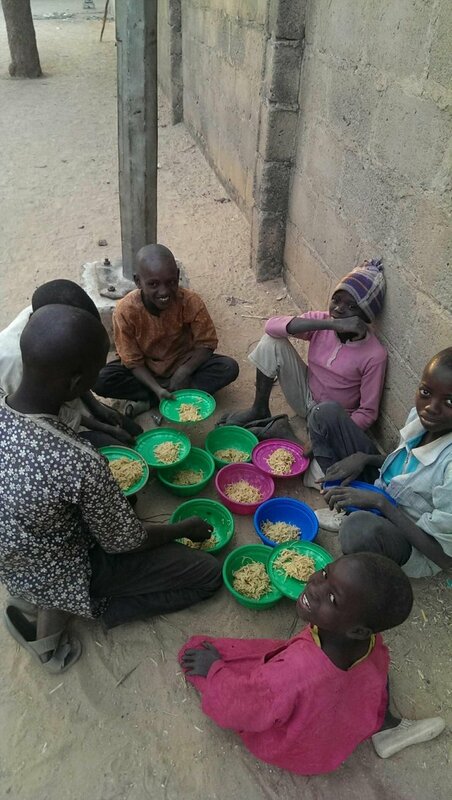 These children all come from poor homes and some were sent off as an excuse from the parents, due to the fact that they can't raise the kids since they usually have more than they can cater for. Try to imagine a man with 3 wives already and 19 children, making a living off selling potatoes at retail prices. How on earth can he provide the basic needs for such a family, earning so little? Hence, these kids are left to cater for themselves. They walk around in groups with their colored plates and look for food. Some of them do this the simple way, by begging for food from house to house. While some of them run errands for the indigenes and hope to be compensated for their service either in cash or kind. They basically live like homeless #orphans of which they aren't. The Malam gives zero or very little concern about their welfare. The indigenes usually lease a room out to these children in their houses so they at least have shelter, but they are usually congested in these rooms due to over population. 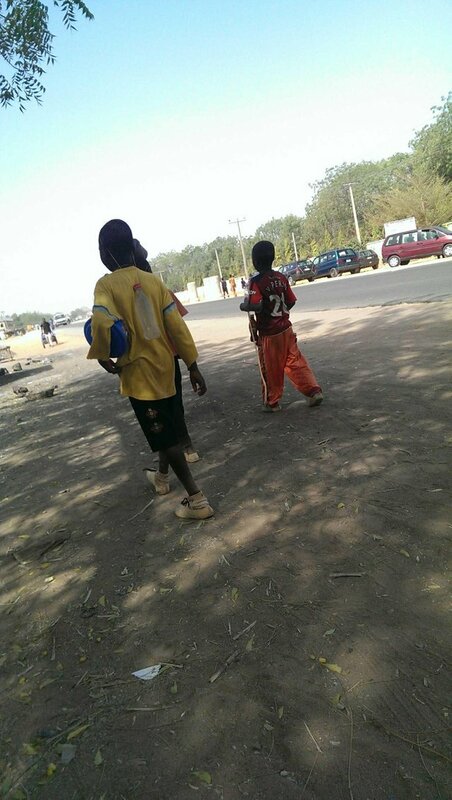 I feel very concerned when I see these kids on the streets walking around aimlessly. They don't speak English and only few of them go to the government schools to add western education to their schooling. This is a practice that I believe should be checked on by the government. Like the saying goes, "An idle man is the devil's workshop". 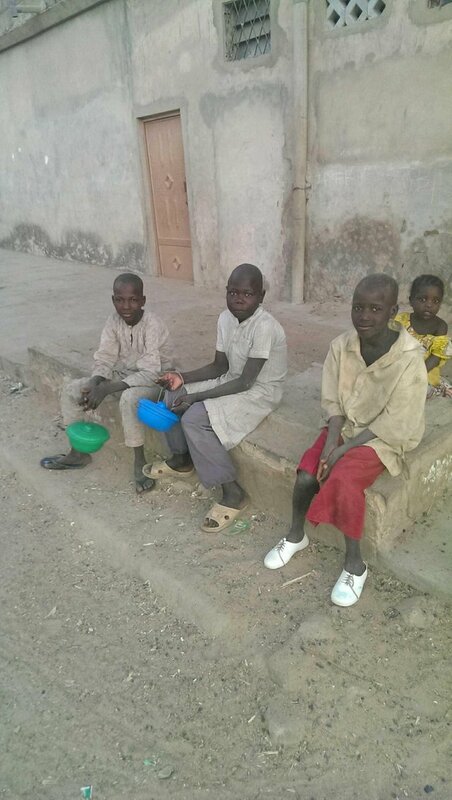 These boys can easily be recruited to join the rapidly growing #terrorist sect **Boko Haram ** here in the north. Soon as they are enticed with just little things and subsequently brainwashed to carry out terrorist attacks. These kids need proper care and intervention from #organizations, individuals and the government agencies large. As for me, I'll try the little I can to help those I can help. I believe in a better Nigeria, and a better world.